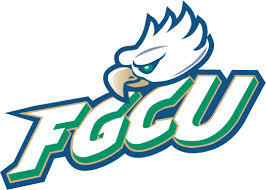 Established on the verge of the 21st century, Florida Gulf Coast University infuses the strengths of the traditional public university with innovation and learning-centered spirit, its chief aim being to fulfill the academic, cultural, social, and career expectations of its constituents. Outstanding faculty uphold challenging academic standards and balance research, scholarly activities, and service expectations with their central responsibilities of teaching and mentoring. Working together, faculty and staff of the University transform students’ lives and the southwest Florida region. Florida Gulf Coast University continuously pursues academic excellence, practices and promotes environmental sustainability, embraces diversity, nurtures community partnerships, values public service, encourages civic responsibility, cultivates habits of lifelong learning, and keeps the advancement of knowledge and pursuit of truth as noble ideals at the heart of the university’s purpose.